Like many of you, I’ve been giving some serious thought to what I want to accomplish in 2015. I’ve jotted down ideas for myself personally (spiritual and physical well-being), the family as a whole (time together, both quantity and quality) and definitely our real food journey. Making resolutions for the new year is dangerous though, since it’s so easy to come up with a great idea, but it’s almost impossible to execute any idea without a plan in place. That’s why I quit making resolutions in the first place and committed to baby steps instead. Because of the lack of plan, resolutions tend to fail. Baby steps however, are so small and so much for feasible to see through. Plus small steps are more likely to lead to long-term habits over temporary seasons of life. All of this – a small goal, the ability to see it through and the creation of a positive long-term habit – are all the reasons why baby steps have such an incredibly success rate. We tangibly see the results of our hard work and we’re inspired and encouraged to take another baby step. Before you know it, those baby steps have led up to significant change that we wouldn’t have otherwise achieved. It’s truly a wonderful cycle! Two years ago I committed to meal planning for one month. 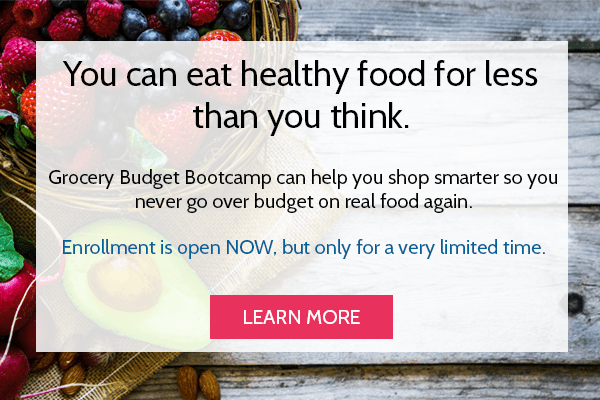 It was one of the best baby steps I’ve ever taken and it even led to the creation of Frugal Real Food Meal Plans. But in the midst of taking that baby step, I barely knew where to start. Our kitchen was in shambles. Our diet was all over the board and our budget was clinging on for dear life by the halfway point of every month. Something had to change, but I had no idea where to start! There’s SO much information out there on real food. So much to sift through. And there’s always a budget staring you back in the face, challenging you to make it happen within monetary constraints. 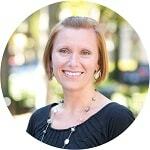 We all have different methods for making goals and processing change. Some people divide the year into quarters, and set one small goal for each. Two years ago I offered 22 baby steps – one for each weekday for the month of January – that took about 15 minutes each to help you clean up your budget and clean out your kitchen. This year I’m offering a hybrid of 52 baby steps for a healthier New Year – one for each week of the year. I figured this: We’re all in different seasons of life. Some weeks we’ve got our acts together and other weeks we’re a hot mess. But it’s entirely attainable to look at a list, compare it to our current week and commit to doing whatever works for us at the time. 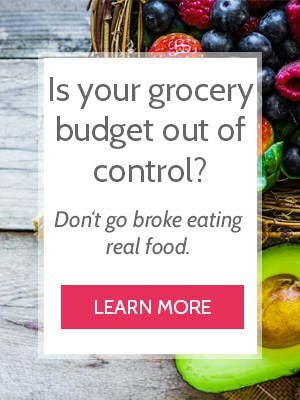 I’m hoping that working through one baby step at a time will encourage you to see that eating real food on budget isn’t that far out of reach. In fact, it’s perfectly attainable. You just have to take one step at a time. Here’s how I suggest working through this list. 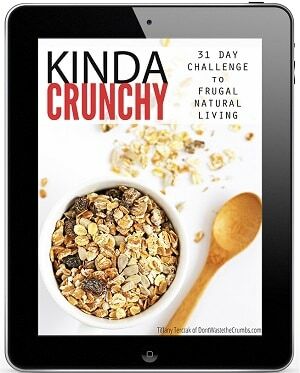 You’ll notice that the list is broken down into three categories: real food, saving money and natural living. Decide which of the three categories you’re struggling with most right now and choose one item from it next week that you have no doubt you can achieve. Start the year off with a success. Then choose a different category and again, take a step you know you can take. Create a snowball effect of success so that when you come to a week that’s a bit more difficult, you have confidence to work through it. You’ll notice that there’s a few baby steps that repeated in each category. That’s because they’re all applicable to all three categories, and all are worth repeating throughout the year. 1. Have soup for dinner. 2. 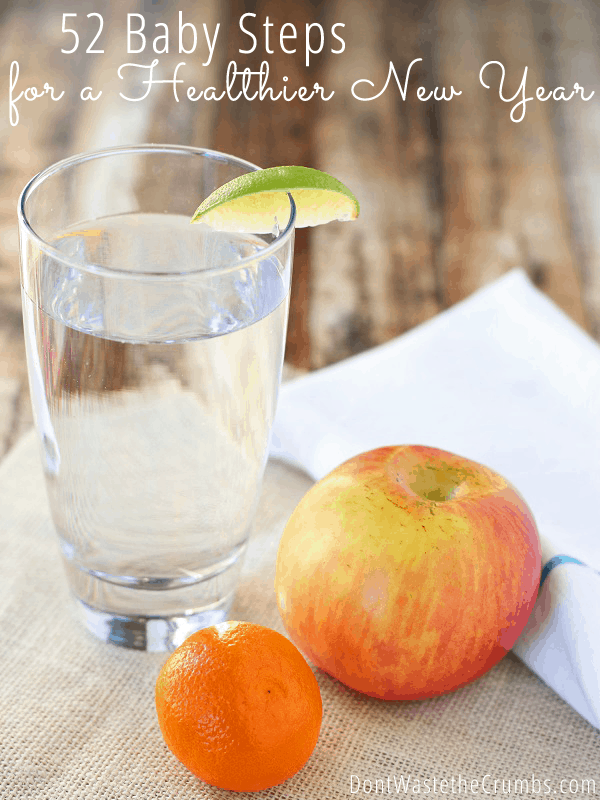 Fill up a water bottle with water and drink the whole thing that same day – twice. 4. Drink a smoothie for breakfast. 5. Skip a trip to the store and substitute for something else. 6. 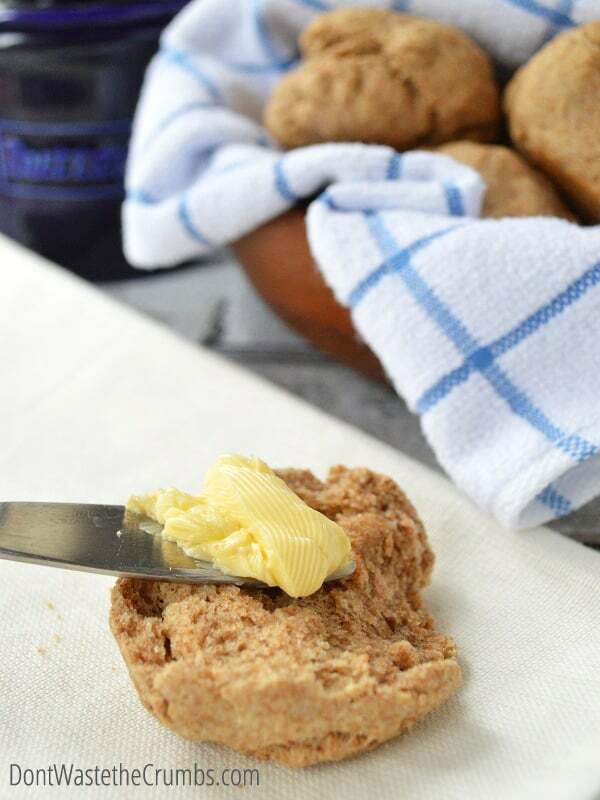 Use butter instead of vegetable oil in baking. 8. Use a butter wrapper instead of cooking spray. 9. Buy extras of one item and preserve it for later (freeze, dehydrate or can). 10. Make double of one meal and freeze it. 11. Eliminate trans fat from the kitchen. 12. Make bread (yes, 15 minute easy dinner biscuits count!). 13. 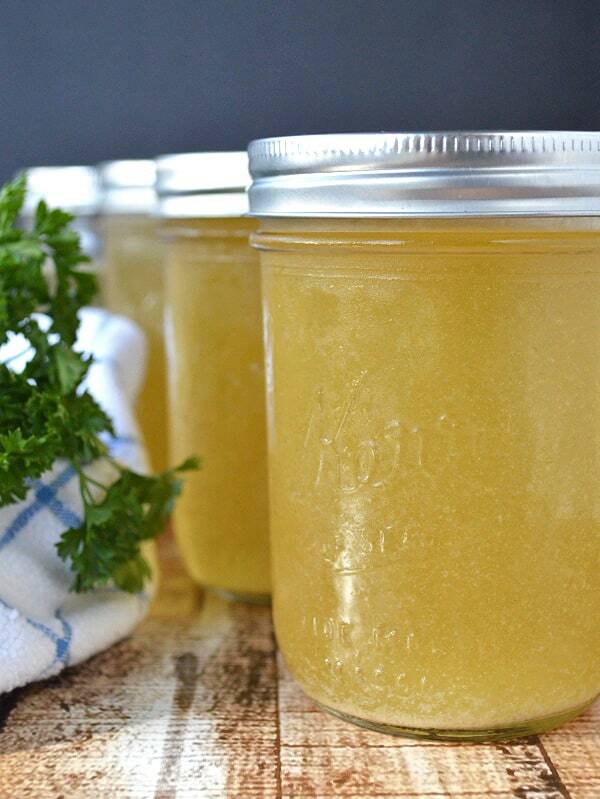 Eliminate high fructose corn syrup from the kitchen. 14. Cook beans from scratch. 15. 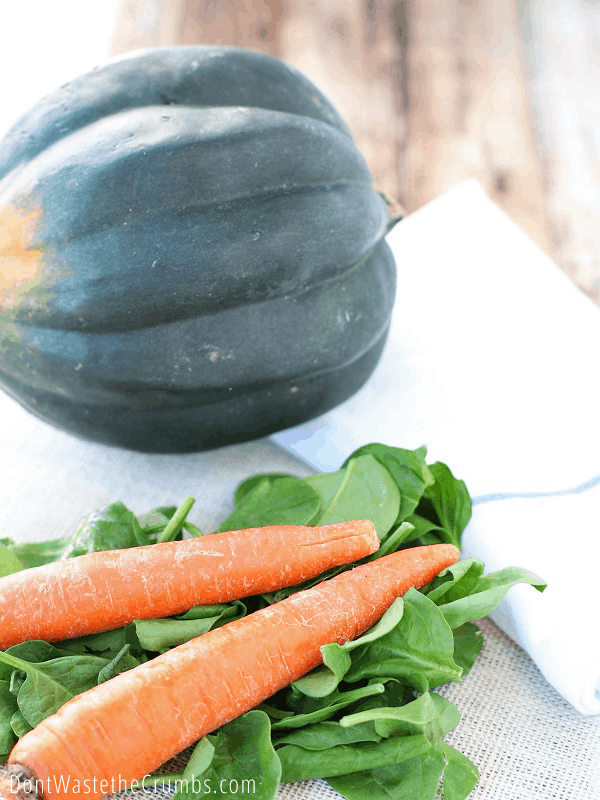 Try a new-to-you seasonal vegetable. 16. 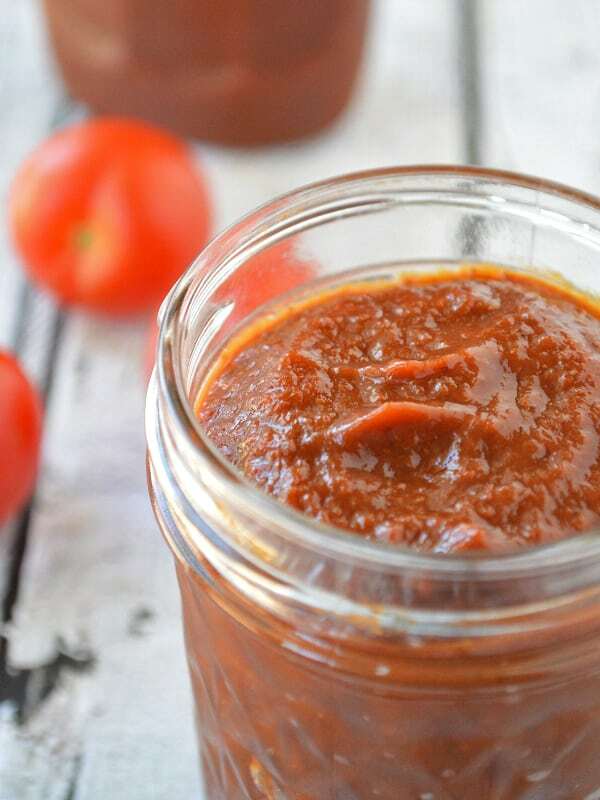 Make a real-food version of a processed family favorite. 17. Use a natural sweetener instead of white sugar. Keep inventory of the fridge, freezer and pantry. Make a shopping list BEFORE you leave the house. Psst! 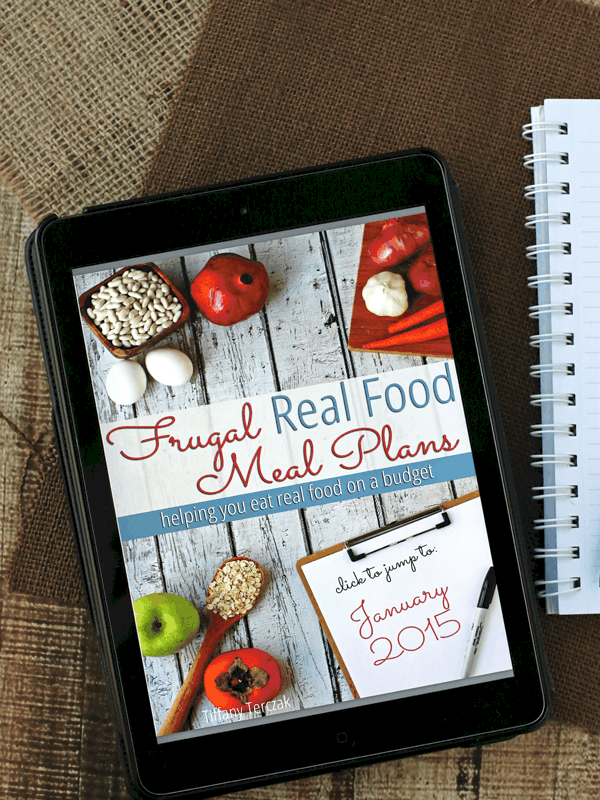 Frugal Real Food Meal Plans can help you with these baby steps! 1. 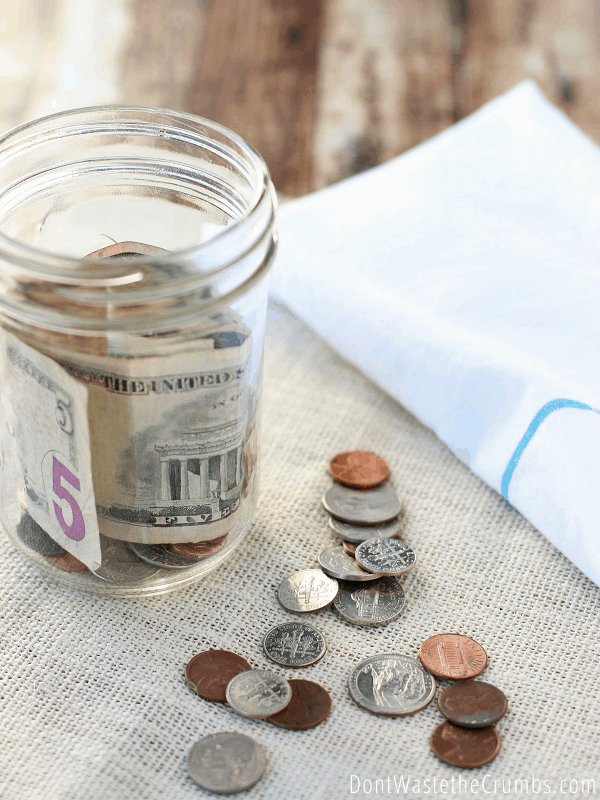 Create a grocery budget. 2. Don’t go grocery shopping. 3. Use just one trash bag. 5. Cut up your own whole chicken into parts. 7. Unplug appliances when they’re not in use. 8. Fill a water bottle with rocks and put it in the back of the toilet. 9. Price match the weekly circular. 10. Don’t use paper napkins or paper towels. 11. Buy one item in bulk. 12. Keep every receipt for every purchase you make. 13. Shop the week for just $10. 15. Make a non-dairy milk and use it for cooking/baking. 16. Crunch the numbers on a staple recipe: Is it worth it to buy or to make? 17. Shop at a store you’ve never been to before. 1. Go to bed 30 minutes earlier. 2. Make your own kitchen disinfectant. 3. Make your own face soap. 4. Make your own makeup. 5. Go for a 20 minute walk. 6. 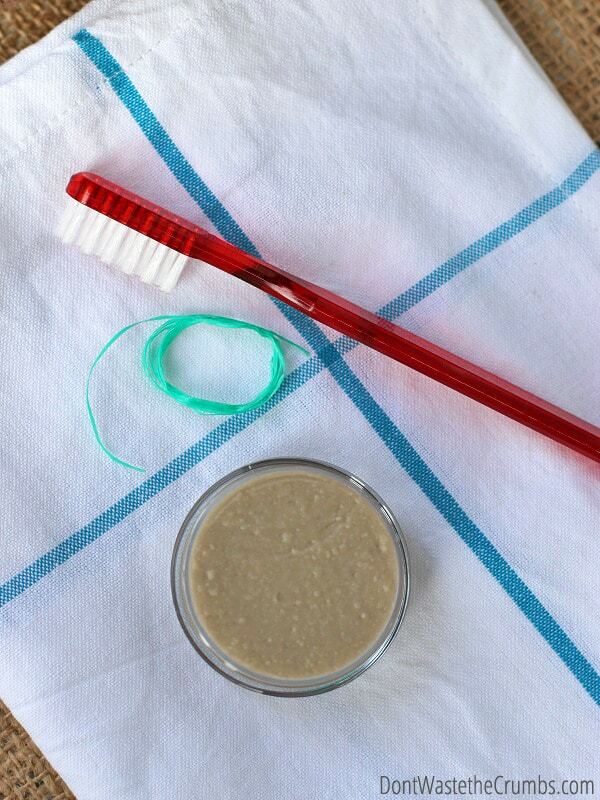 Make your own toothpaste. 7. Make your own moisturizer. 8. Clean out and organize the fridge & freezer. 9. Read the ingredients in your shampoo & body wash.
10. Clean out and organize the pantry. 11. Throw away expired medicine. 12. Read the ingredients on the medicine you use most often. 13. 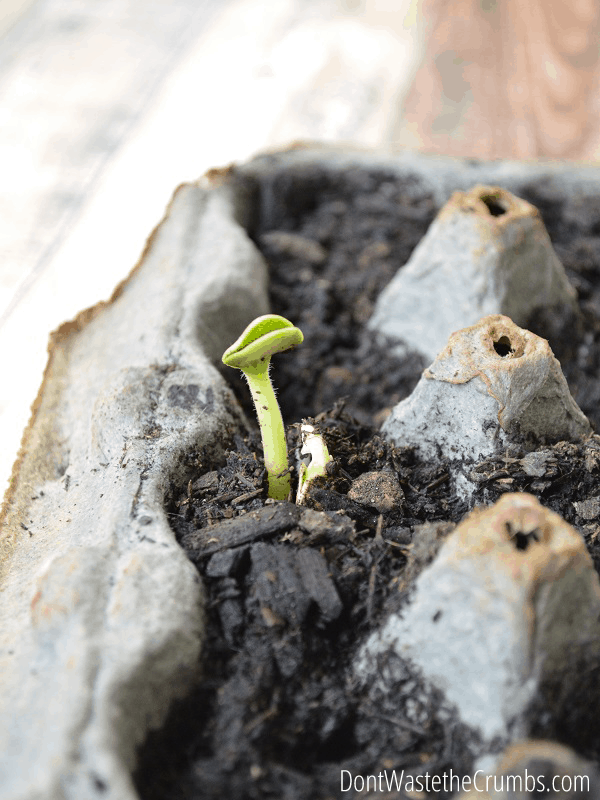 Research two plants that grow easily in your area. 14. 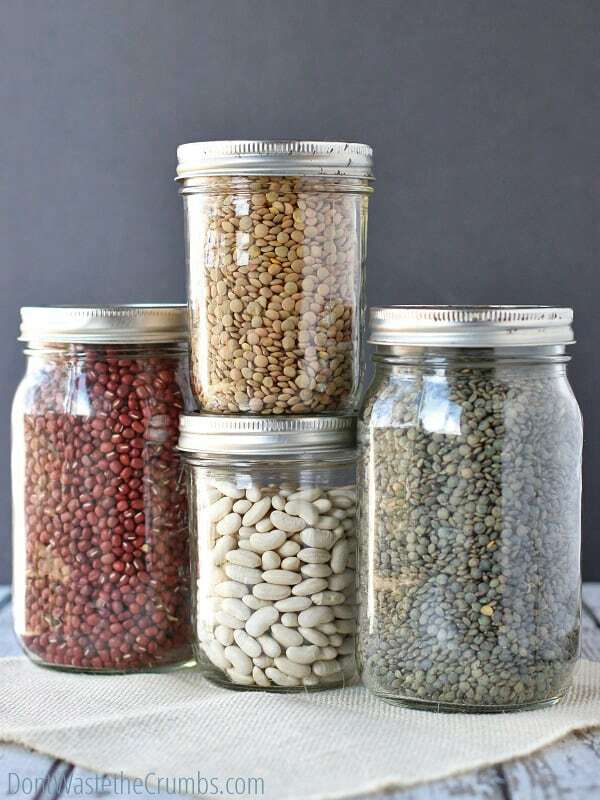 Keep glass jars and use them to store your food. 15. Schedule a family activity outside. 16. Keep reusable bags in the car. 17. 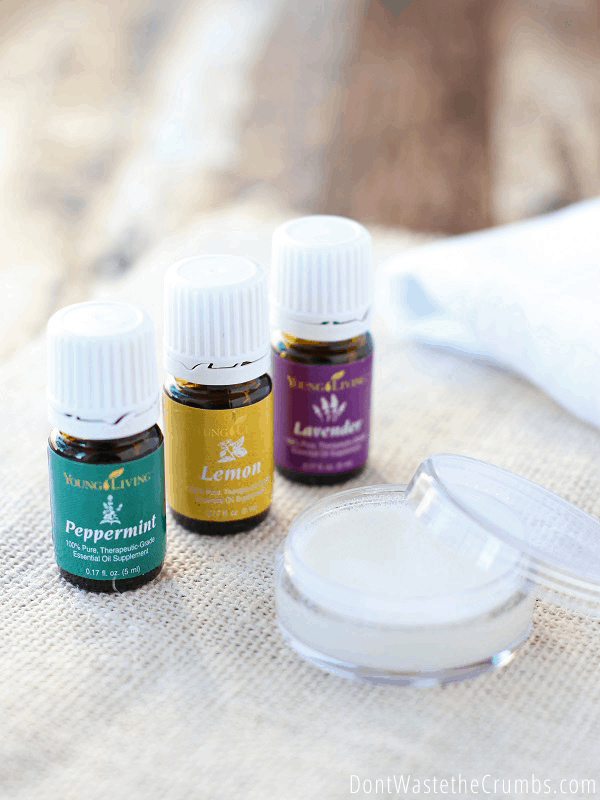 Try an all-natural method of healing before reaching for medicines. 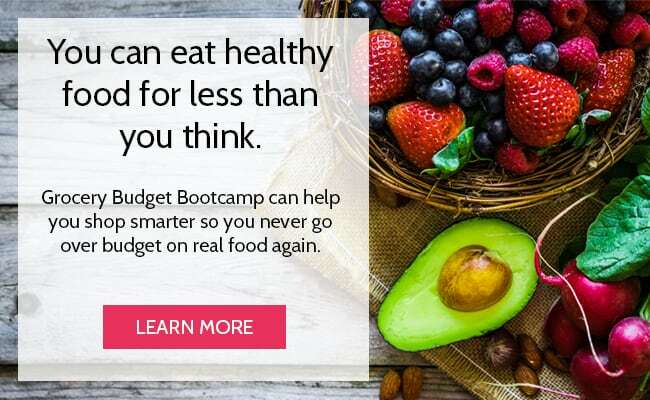 If you struggle with meal planning and shopping and making it all work within a budget, Frugal Real Food Meal Plans can help. Having a meal plan in place not only helps you eat better food, but it helps you save money AND it reduces your stress level. If there’s no other baby step you take this year, I encourage you to come up with a meal plan and reap the positive domino effect that it can have on your life. 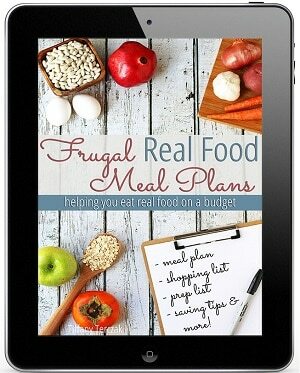 Head over to Frugal Real Food Meal Plans to take advantage of special launch pricing before the deals are gone. Start this new year off on the right foot, and take a baby step on your real food journey towards the direction of better!! What baby steps are you taking this year? Thanks so much for the mention, Tiffany!! I love your baby steps, and I can’t wait to read about your progress throughout the year! You’re most welcome Amy! I’m sending you LOADS of encouragement! !